The verification drive, which is still going on, was started last year after Delhi Police Commissioner Amulya Patnaik decided to create a database of unverified migrants. The inspiration came from a similar initiative of the New York Police Department. 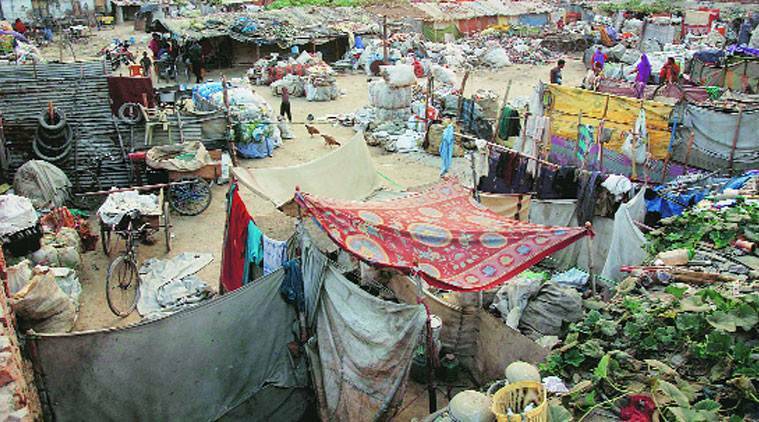 A verification drive of migrants living in the capital’s unauthorised colonies, being conducted by Delhi Police for the first time across 15 districts, has suggested that West, Outer and East Delhi are the top three districts where migrants prefer to stay. The verification drive, which is still going on, was started last year after Delhi Police Commissioner Amulya Patnaik decided to create a database of unverified migrants. The inspiration came from a similar initiative of the New York Police Department. “It is an ongoing procedure and the police chief, in a recent crime review meeting, directed all deputy commissioners of police to conduct verification of migrants in their jurisdiction,” a senior officer said. The Sunday Express has learnt that 182 areas across 15 districts have been identified so far, where 78,722 migrants live and 28,982 work. “The maximum number, 25,408, are residing in west; 20,119 in outer; and 10,346 in east Delhi,” a senior officer said, adding that the numbers will go up as the survey goes on. When it comes to work, the highest number of migrants, 8,566, were found working in the East district, followed by the West district at 7,035 and Dwarka at 6,485. The survey was taken against the backdrop of statistics that suggest higher crime in areas around unauthorised colonies. In several cases, police struggle to zero in on the accused since scant records exist. “During the drive, officers visited several shanties, construction sites and resettlement colonies to be able to collate the data,” the officer said.